Meet Sherie Hodge – wife, mother of two and owner of Atlanta-based Skylark Media. She believes that confidence, positivity and social awareness are key characteristics of an “empowered woman”. Outside of spending quality time with her family, the founder of The Flourish Foundation, Inc. enjoys traveling, film, photography and community service. What makes her happiest? When she’s able to make a difference while motivating others to do the same. We are all about women’s empowerment…and PUMPS! Describe your “power” pump. I’m really not partial to particular brand names (if I like it, I’ll wear it). I do love a nice black pump, though. It’s simple, conservative… yet fierce! How do you define “purpose”? Purpose should be the reason why we wake up every day. We shouldn’t be afraid to ask ourselves “Why am I really here?”. Often times we attempt to chase happiness. I say, define your purpose and happiness will shortly follow. What do you feel keeps people distracted from their purpose? Life. Many tend to let certain events derail them from their quest to find their true purpose. What inspired The Flourish Foundation? I worked at a major news network for ten years and my position involved working on content for countless broadcasts relating to the social issues that severely impacted our society. I remember being conscious of the clear disparities between the social economic groups and the obvious comparisons of available resources (or lack thereof). It was evident that children growing up in these environments with little access, meant that often times, they also had little hope. Unfortunately, this was only a portion of the big picture. Aside from the trials and tribulations of living in an underserved community, there was also the issue of a family dynamic that barely left time for internal wellness, self-esteem building, positive body imagery and other healthy emotional developments that are normally acquired by an adolescent that lived in a “traditional” family setting. It seemed like what should be considered a normality, became more of a privilege, depending on where or how you lived. It was after I spent time volunteering in certain communities, it became apparent that there was a dire need for accessible personal development programs for our underserved youth. I personally believed that there were certain mannerisms that a young girl needed to learn in order to blossom; a reliable resource that supported her emotional growth and celebrated her personal milestones. A reliable program that reveals her self-worth and builds confidence to encourage her to thrive in any environment. Who does the foundation serve? What does it offer? We primarily serve young women who are at a disadvantage and need help redefining their best. Most of our young ladies have never received an opportunity to learn vital life skills that are required for progression. Despite their personal situation, they all share one thing in common – they want to do better, but just need to learn how. That’s where we come in. Flourish provides signature programs that focuses on reviving their inner strengths, renewing self-confidence and offer enrichment to encourage continuous growth. What role do you serve within the organization? I’m the Founder of the organization and currently the President of the Board of Directors. The remarkable thing about our team is that we’re deeply rooted within this cause, as a result, we voluntarily wear many hats to ensure that the quality of our programs are consistent. We also have a growing team of volunteers with a variety of skills to help further this initiative. Let me tell you, they are all such a pleasure to work with! Many people don’t know this…but we’ve been a 100% volunteer-based organization since 2012. I think that says a lot about who we are. What are some challenges you face with running a non-profit? To be honest, I would say fundraising would be the biggest challenge. There are thousands of young women that are in need of our services. Naturally, we would love to help as many as we possibly can. That’s why our ongoing efforts to raise funds to support and expand our programs are so important. I set short and long-term goals and eliminate excuses. How can people get involved with The Flourish Foundation year-round? There are several ways to get involved with Flourish as a Donor, Volunteer, Corporate Sponsor or Board Member. I highly encourage your readers to visit us online at flourishlife.org for more information about our organization. I also welcome interested individuals to contact me via email at shodge@flourishlife.org with any questions regarding our mission. We’re also starting a teen volunteer group fairly soon. This will be a great way for high school students to gain valuable community service hours and join a fantastic team. Tell us about your annual fundraiser Peaches & Prohibition. “Peaches & Prohibition” is our highly anticipated annual fundraiser that is a truly unique experience for all of our guests. So, during the 1920s Prohibition Era, a surge of secret underground bars and lounges were discreetly popping up all over the U.S. We decided to adopted this historic concept as the official theme of our yearly event after last year’s success. This is when we turn back the hands of time with a true 20s-themed social affair infused with live music, paired with a warm Harlem Renaissance feel. Our attendees absolutely LOVE this event because it allows them to enjoy a jazzy evening out with their significant other or group of friends, while giving back to charity. We change the “secret location” every year, adding to the exclusivity of the whole speakeasy concept. Yeah, I would definitely advise snatching your tickets early to this one. They’re available online for a limited time at peachesandprohibition.org. Visit their website at www.flourishlife.org to get involved! 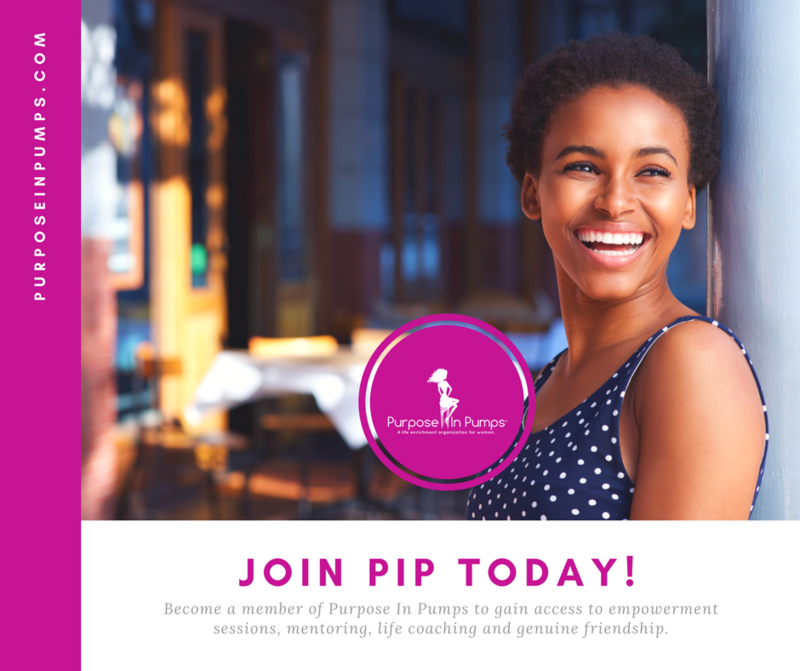 I am the Co-Founder and Director of Strategic Partnerships for Purpose In Pumps. Outside of working on creative projects, I enjoy beating my husband and son at Scrabble. We've played over 200 games, and I have won every single one of them! :-D But most of all, I love getting to know the hearts of people to help them live out their wildest dreams!